Riding on the back of the boxset release "A Chord Too Far" by Tony Banks, Genesis-News.com [it] took the chance to discuss Tony Banks' solo career, future plans, life and death, possible Genesis releases and the tense atmosphere between classical and rock music. Christian Gerhardts conducted the interview via telephone on 24th July 2015. Genesis-News.com [it]: Thanks for taking some time for us. Since you’re doing a back catalogue reissue now, we’d like to go back and take a look at your career. From today’s perspective, is there something you could have or should have done differently? 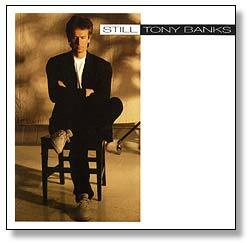 Tony Banks: Not really, not in terms of the music that I have written. Maybe in terms of having a few bigger names on my records which may have helped with promotion, but generally, no. I loved making these records and I just used what I had around at the time and I was very happy with the results. it: You had a lot of different line-ups and concepts and also singers. Did you ever think 'oh, I should have sticked to just one singer or line-up'? Tony: I loved doing those different things. I had a lead singer on my first record, then did it all myself on the second. 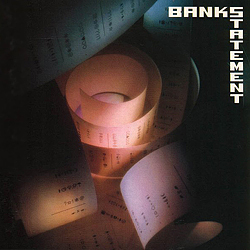 I tried to do it in lots of different ways, I tried a two singer concept on Bankstatement and after that I thought why not have the singers that may fit best on the individual songs? I never had a problem with that. I could have put a certain group together, like Mike did, but that would have been a different approach. it: The last Rock album was released nearly 20 years ago now. Looking back, which one is your favorite? Tony: It’s a difficult question to answer, really. I like all of them. Of course there are bits and pieces I like more, and we’re doing this compilation which gave me the chance to choose the strongest tracks. I always liked A Curious Feeling, because it has this one idea I carried all the way through, but there are some really good songs on the other albums, so I can’t really tell. I have the same problem when people ask me about my favorite Genesis album - I don’t really have a favorite album. it: You’ve changed your approach and also your interest during your solo career - in the end you wrote classical music only. Was it for you a logical and natural step or a decision based on the lack of the commercial success of your rock albums? Tony: A bit of both really. I always wanted to try the orchestral approach. The last rock album Strictly Inc didn’t do anything at all and also the last Genesis album Calling All Stations didn’t do very much. At that point I wasn’t sure if wanted to do any more music, let alone rock music. And then I did SEVEN and SIX in the 2000s and both had a broader audience and a bigger audience than the previous albums and I enjoyed doing that. It was a natural area to work in for me. I love rock music as well but I don’t see any real point in doing another rock album, which is one of the reasons I am putting out this compilation. Most people have not heared any of these songs. So I am putting them out again to see if they are heared this time. it: So that means the compilation is some kind of wrapping up to your solo career, and the option to invite other musicians to write and record another rock album is out of the question for you? Tony: Not necessarily out of the question, but it’s not really my next plan. My next project is doing another orchestral album. I don’t rule out anything, I am very happy working with other people. I mean … in the end you have to ask - why do it? I can do it for my own pleasure if you like. But you know Strictly Inc - I don’t know how much it sold, but maybe only a few hundred copies and there’s no point in doing albums like that. You release it and then no-one listens to it apart from some very die-hard fans. I could do it again but don’t know if I want to do it all again. It’s also a lot of work and I am really happy do this classical music now. And I have a lot of people who want me to do that so that’s what I do right now. it: You said you wanted to record another classical album, I have to ask this question: Will it be called FIVE? Tony: *laughs* I hope not. No, I have this piece I wrote for the Cheltenham music festival in England. This was a 15 minutes piece (Arpegg) and that will be the basis for the next album. I wanted to do it quicker, but then I got involved in doing this compilation now. So that will be my next project with new music. it: So the thing you did for John Potter is something completely different then? Tony: Yes exactly. Richard Macphails wife Maggie is a friend of his and they asked me if I would be interested to contribute something and I said - why not? I really enjoyed that, I did it very quickly. And it was nice to already have lyrics. So the music is some kind of response, the sound of the words… the meaning of the words - and then they recorded it. It was fun, I might do more with him, I don’t know. It was just great. I always wanted to be just the writer, so that was perfect and a nice experience. it: SEVEN and SIX were recorded before and after the Genesis tour. Was that a bit odd for you to do these albums before and after this tour? 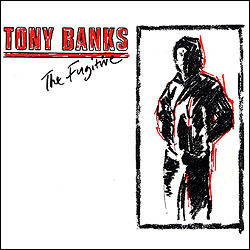 Tony: No, we finished the first album before the Genesis tour project started, so that was simply another project. And having done these orchestral albums, I kind of enjoyed the possibility to work with drummers again. And then after two years of working with drummers I was quite happy to not working with drummers and get back to the classical music. I like working in both genres, I suppose. And the main thing with the Genesis tour was just relearning all the old parts we did all these years ago, to check if we could still play them, things like that. That was fun! It was great to have that sort of break from classical music, but without any pressure, really. it: During the last 40+ years, has the way you compose music changed or is it still the same? Tony: In technical terms it has changed, yes. But in general ... in the early days of Genesis we always had a pool of ideas. I often didn’t complete a song, because I knew we were going to work on that as a group. Once I started to write completed songs during the time of A Trick Of The Tail the process has always been much the same. I improvise, ideas come, I organise things and then you see what happens. Tony: Okay, the way you go through it is a bit differently then. Anything with an Orchestra is different from pure rock music. With a rock album it's like that: when you record them you are still sort of writing the stuff, whereas with an orchestral album it’s completely written before you record it. It’s a different approach in terms that you have to think differently with the orchestral music - there’s also much less repetition. It has a wider range, you can do more things with it and come back to the main subject very late. But to be honest, within Genesis, I always done a bit of that anyhow - with Supper’s Ready or One For The Vine. And on my solo stuff as well, things like An Island In The Darkness, which kind of comes and goes a bit as well. It’s a part of what I do. But yes, I write differently when working for an orchestra. And in terms of harmony, I don’t feel any boundaries at all. In a rock context, some things might not work very well. Too complex ideas can sound terribly wrong. it: Would you still be interested in doing a complete soundtrack for something? it: Do you consider to add some vocals to your orchestral music? Tony: The John Potter thing is some kind of vocal style - and the idea of having a choir is very appealing. I am not so keen on classical vocal styles really. I prefer instrumental music and the thing with John Potter was so enjoyable because he was the guy who was going to do it. I like working just as a writer on my own. it: So you are releasing the compilation A Chord Too Far soon. Why now? Tony: We did the Genesis compilation thing [R-Kive] and I thought it’s about time really. I wanted to do something like that for a long time. Originally I thought about some kind of single compilation album. But still most of the people haven’t heared any of this really, even Genesis fans. So I talked to Esoteric, who were very keen to do something with my stuff for a long time and I said ok, let’s do it. And they wanted to do a longer / larger compilation to try including as much stuff as possible and I liked that. Well I am 65 now. And the possibility of me doing any more rock music is very slim anyway, so it seemed quite a good moment to do it. The Genesis compilation R-Kive made me think of all the music I have done with or without Genesis. So I want to get it out there again. it: The titel is A Chord Too Far - Too Far for what? Tony: I think it’s a chord too far for a lot of the audiences, which probably was the problem of my career. *laughs* I like using a lot of chords and harmonies, also in the Genesis days I used that a lot, so it’s a bit of that feeling but it’s supposed to be a joke as well. Sometimes when I play stuff to people and they anjoy it and then I have some of my chord changes and they look a bit … well … *laughs* But I always loved the difficult chord changes. And I will carry on doing it. it: Some of the tracks have been remixed. Who did this and have the tracks been altered? 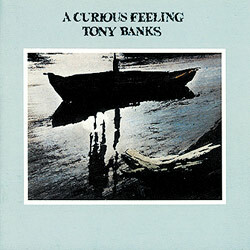 Tony: I did the remixes with Nick Davis. We’ve already done A Curious Feeling, so that was improved quite a bit when we did that. We then did mainly work on The Fugitive and Bankstatement. There is also a plan to rerelease the stuff in 5.1 Surround sound, so the surround mixes were the reason to re-do them. Some tracks we did were great to do, since we could get something more out of them, but other tracks were not remixed at all. The remixes did not change the songs, they just make them sound better. It’s a bit like when we did all the Genesis albums. Tracks like The Border or Big Man really improved. And By You also sounds a lot better. It was worth doing it. it: You mentioned The Border, which is from the Bankstatement record. When you listen to it now, it has this kind of typical 'end of the eighties'-sound. Do you also hear that and do you think sometimes, I should have gone for a different sound? Tony: I am totally unaware of what sounds like anything anyway. I never listened to a lot pop music to know what the current sound was. I do what I do. Sure it would be different if I would do it now, but also when I listen to other people’s music I don’t really care what year it was recorded. My heart is still in the 60ies really, I don’t think that sounds dated, like The Beatles and that stuff. So the remix of The Border doesn’t make it sound more like the 21st century. It sounds like what it is. I never thought of music being dated. It could be that some of the drum machine parts are dated because we used them quite a lot in these days and I wouldn’t use them in the same way now, but that’s a minor thing. it: Speaking about the selection of tracks. There’s nearly everything on there, since you have four CDs. 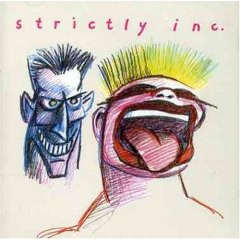 I noticed that from Strictly Inc, both the title track and the first single are missing. Why? 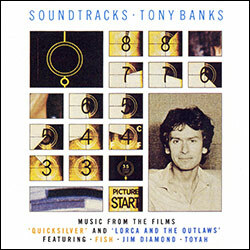 Tony: It was a matter of choice what I thought would fit with the other tracks on the record. I didn’t feel Strictly Incognito fittet in there and Only Seventeen was a single and a good track but I thought I tried as hard as I could to have people listen to that and no one was interested so I dropped it. Of course it will be on the album when we rerelease that. I also didn’t include Don’t Turn Your Back On Me which I thought was a weaker track. We also did not take a couple of tracks from The Wicked Lady which didn’t seem too relevant here. But by putting them in the new order, I hope it makes people listen to them differently. I think the compilation is not quite as you think it’s going to be. Because of the order, it changes the emphasis quite a lot. So for the first three CDs I simply put them in an order which felt natural if I did these tracks all at the same time. It starts with Rebirth and that has some kind of old Genesis album feel and starts it off in a nice way. On the fourth CD are only instrumentals. I hope to reach people who liked Genesis over the years. People who liked my contribution to Genesis but don’t really have much knowledge about my own stuff. And it’s all in here and I am curious about how they feel about it. It should take them on a similar journey and also the package is nice. We’ll see. it: You mentioned the fourth CD, tell us more about Poppet and the demos. Tony: The Demos work differently. Spring Tide was recorded in 1999 without me knowing what to do with it. 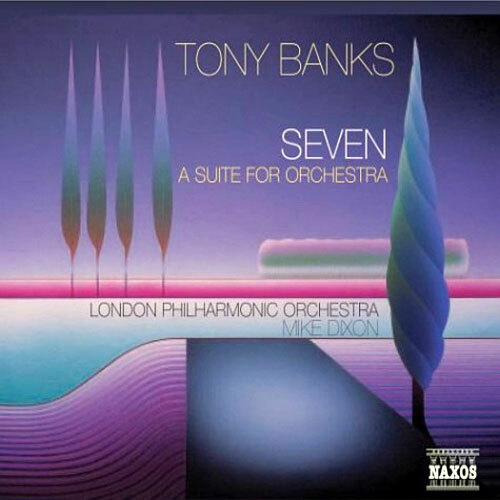 So it sounds quite differently than the orchestral version for SEVEN. The next one, Neap Tide, was recorded for a possible inclusion on the album Strictly Inc. It’s piano based and may sound a bit like an instrumental bit from the past. The third one, City Of Gold, was in fact a proper Demo for the orchestral version on the SIX album, so i’s quite close to the final version and final arrangement. All three are piano based. Poppet was a left over from Still which I kind of had forgotten. I rediscovered it when I went through the stuff for this record. It’s quite nice and a good moment to use it. It sounds a bit like a backing track and lacks a vocal on it but I can’t really remember. it: The Wicked Lady has been released on your own label "Fugitive Inc". it: Are you going to continue with this brand or was it just made for this record? Tony: I don’t hink so, it was some kind of experiment. We did it to see what would happen. I have never been too sure about it. From the financial point of view it’s much better to put it out on your own but I always thought I don’t want to be involved to a level of having my own record company. And with a label like Esoteric, who is very keen to do all this stuff it seems only logical to do all the rest with them as well. I don’t want to be involved in all the packaging work etc. It’s a lot of work. Esoteric is very enthusiastic and they also are willing to take all the financial burden that comes with it. So, Fugitive Inc was just a one off thing. But it was nice to get The Wicked Lady out there again on CD. it: Do you have any expectations in terms of record sales once the stuff is available again? Tony: Not really. 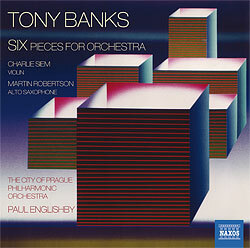 I think 4 CDs with Tony Banks is some sort of limited appeal, I think. I just want to try and reach the fans, mainly Genesis fans who perhaps missed the fact that we don’t do anything anymore and want to explore my music and there should be some tracks they would like. I wrote stuff like Firth Of Fifth, Afterglow and One For The Vine, so there should be stuff on this compilation they might find appealing. It’s just a matter of reaching the audience. it: The stuff has been remixed in 5.1 as you said. Will the individual albums be available in Surround Sound? Tony: That’s the plan! Esoteric is keen to do the 5.1 versions, they are funding the whole thing so we do the individual albums. A Curious Feeling has been done already but that will come out again, together with The Fugitive at the same time. And then we will do Soundtracks and Bankstatement. The later ones will take some time. We haven’t done any remixes on those so far. Nick Davis is up for it and we give it a go. They will be all out there. It’s nice to have them out there again. Nevertheless, I question how many people want to hear the whole thing. I see the compilation as the main thing, they [Esoteric] see it as a starter for the people to trigger interest in the individual albums. Maybe they are right. Some of the albums have been deleted for 20 years, so it’s nice to make them available again. it: You mentioned that Poppet was from the Still sessions. Can we assume that there is more to come for bonus material on the individual album releases? Tony: Not really, I don’t think there’s anything actually. I’ve really been through anything, and there is not much there apart from demos and stuff. There are bits and pieces, some ideas over the years that were not used for anything but whether they are usable I don’t know now. it: And the possible format will be CD and DVD? Tony: Whatever they suggest, I don’t know. I think SACD has gone pretty much out of the window now. We will release in in the best format we can, maybe Blu-ray? But I really don’t know. The Surround versions sound so great. I remember that the Genesis SACD versions sounded so much better than the versions on DVD so I hope we have a good solution. It’s such a shame that the SACD format is gone. it: Blu-ray audio is a good format for high resolution audio. Tony: Yes you’re right, that could be the perfect format. And also, as you have seen on A Curious Feeling, we also do have the video extras. But as I said, I am not sure about the format, right now I am concentrating on the A Chord Too Far thing. it: Did you ever consider writing your own book, perhaps calling it A Curious Feeling? Tony: Not really. But I always had it in the back of my mind that if I ever wrote a book it would be called A Chord Too Far. So now I have used the title for this compilation. I don’t really want to actually. We did the Genesis book, Chapter & Verse, and also Mike did his book two years ago, but I didn’t like that very much. I didn’t like what he said about me. *laughs* Well, I am pretty direct and outspoken and also considering the feedback on the last Genesis documentary it’s probably better that I never write a book. My life is also not really that interesting. The Genesis part of that is very well documented. it: The fans like Mike’s book a lot. it: It seems you don’t like to see live shows from your former band mates? Tony: I have seen Mike now. It looked like Mike will be touring until I finally see him, so I went and put him out of his misery. *laughs* It was a nice show. But I kind of don’t like these Genesis related shows or events. You are somehow on show yourself and can’t really relax once people recognize you. I didn’t go and see Peter this time around, but I saw him many times in the past. I have also seen Steve many years ago. I haven’t seen him do the Genesis stuff. It’s not really for me, it’s more for fans. And I saw The Musical Box perform The Lamb Lies Down, that was quite fun. But I suppose I don’t really go and see a lot of rock shows from anybody anyway. I went to see Led Zeppelin a while ago at the O2. And that’s probably the last thing I saw. it: In case the compilation and the rereleases will do better commercially than you expect, are you considering to play live again and go out with your solo stuff? Tony: The idea to do it is quite appealing but I am not going to do it unless there’s a reason. I am not going out there and try to promote it. It’s also quite complicated to do with all the different singers etc. I don’t totally rule it out. I just think nobody should wait for it really. But as you said, if they all become million sellers, then maybe. *laughs* But you will have to go out and buy quite a few copies to make it happen. it: Three Sides Live came out on Blu-ray. Can we expect other releases on Blu-ray such as When In Rome or archive material? Tony: I’m sure everything comes out at some point - you know how these things are really. I think the Blu-ray thing is now the environment for this stuff so there’s no reason not to do it. I think it should all be available in the standard format. Tony: Oh, right. *laughs* You know that better than I do, I think. When we did the remixes we did look around to see what we could possible find and tried to include it on that. But there’s always more stuff out there. With concerts, there’s quite a lot, and we did record nearly every show. But I also think we tried to select the best bits and the best shows and have put them out already. There is a lot of demand for the old board tapes, we have plenty of them. We did pick the best for our live albums, like with Live Over Europe, we picked the best songs from different concerts for that album. I actually do have the two [Encore] boxes with every show we did. Someone went all through these tapes to try and find the best versions of the songs. I never listen to the CDs in the box. it: Well if you don’t need it, send it to me, I take care of it. Tony: No, I have to have one *laughs* and they also look nice on my shelf, the blue and silver one. it: Coming back to the issue itself, we get a lot of requests saying, please convince them to do a board tapes project. Deep Purple for example are doing BoardTape edition releases, organised by the fan club, even Queen released stuff that is not as perfect as you may think it is, just to make it available to fans. So why not try establishing some sort of boardtape release project? Fans are really keen to hear that stuff, like complete shows. Tony: Well we tended to play much the same every night. I never felt comfortable to put out anything substandard. But in the end it will happen, I mean give it enough time and it will happen. We first thought about that 15 years ago but have put it aside for some time. It also means someone has to listen to this stuff and do some quality control. Nick Davis listened a lot to them. He has remixes tracks like Home By The Sea 15 times I guess so maybe he’s not so kneen to do it again right now. It’s a big job. It will come out, maybe when we’re dead. *laughs* I know fans want it, we are just not so sure about ourselves. it: Talking about your age. You said it before, you are 65 now and you abviously also heard that Chris Squire passed away recently, who is obviously also from your generation. Does that feel strange to see friends and colleagues die and also, does it put you in some kind of hurry to put our more music before it’s too late? Tony: I never thought much about that, I simply carry on. If you are not there any more, well - then you are not there, are you? And then you don’t really care what’s happening anymore anyway. It’s a shame that Chris went, but he obviously had some illness. But our second drummer, John Mayhew, he also died a few years ago. But in the end, if you have a group of a dozen people, someone has to go at some point. I am not thinking about retiring, but 65 is the average age for retirement in the UK. That’s when you get your bus passes and you are really old, you know. It sort of means something. At this stage, you know that there’s a lot less to come than there has been. it: What are you doing these days? Is music more a spare time project or are you doing it every day? Tony: Well I still do it, I always have. Of course when you are touring and recording, you are working more. But ever since 1978, we had a lot of time between Genesis tours to do something else. And I always enjoyed doing other things than music. You know that gardening takes a lot of my time, reading etc. I am very lucky with the sort of job I do. With Genesis it’s a 100% time job. Getting up, flying, interviews, shows etc. In between tours, I do writing, playing the piano most days. it: So you also not following the music scene in detail? Tony: I never listened extensively to music or pop music since 1969. I liked 10CC, Crowded House or whatever, but I don’t really seek it out any more. Only occasionally I listen to the radio and think "oh what’s that, I like that". I do like a really good pop song. It’s the appeal of the writer. With the current groups … I always liked Coldplay, although they have a limited pallet. I would love to see them a little more ambitious. It’s always four chords … that’s really nice, but can you not do a bit more? I do not really listen to the modern progressive goups, I have no idea what they are up to really. When I listen to music, it’s either classical or I switch on the radio. With Pop music, it has to be The Beatles, Simon & Garfunkel etc. I also do listen more to talk radio. it: Ok, Tony, that’s it for today. Thanks for taking a lot of time for us. Tony: No problem, was a pleasure. I hope you could understand everything I said. Thanks and bye. Special thanks go to Jo Greenwood @ TSPM for arranging the interview!